Billy Kelleher says FG is flooding question time with dozens of questions to try and avoid scrutiny from the opposition. FIANNA FÁIL has accused James Reilly of trying to ‘rig’ speaking time during today’s session of ministerial questions in the Dáil, in order to minimise the time he can spend answering opposition questions. The party’s health spokesman Billy Kelleher believes Fine Gael backbenchers have deliberately flooded the minister with written questions to be answered when Reilly takes to the Dáil today for his regular question-and-answer session. Kelleher says the move means the 75 minutes allotted for questions is skewed so that fewer opposition questions can be dealt with. Dáil rules mean that five questions put to each minister are nominated as ‘priority questions’, and are deliberately taken first so that the TD putting the question has a chance to ask a follow-up question or seek supplementary information. After that, however, the order of questions is chosen by a lottery – with today’s lottery meaning five of the next seven questions from Fine Gael backbenchers asking about the progress made in eliminating waiting lists or MRSA in their various local hospitals. In a typical session of oral questions, the minister will only have time to answer their five priority questions and between three to five others. Questions which do not get an oral answer in the time allotted are answered in writing, reducing the opportunity for a follow-up inquiry. The number of questions submitted by TDs for Reilly’s five-weekly session of oral questions has ballooned in recent months. 170 questions have been tabled for today’s session, which begins at 2:30pm. 112 had been tabled for Reilly’s last batch, on February 14, while the previous sessions in September and November had 71 and 86 questions respectively. Around half of the 170 questions for today’s session relate to the removal of waiting lists or MRSA infection rates in various hospitals, and are tabled by Fine Gael backbenchers. In some cases, TDs have asked for updates on hospitals outside of their own constituencies, in cases where their own constituency hospital is covered by a colleague’s question. For example, Clare TD Joe Carey has asked about the reduction in the number of patients on trolleys at Mid-Western Regional Hospital in Ennis – leaving his constituency colleague Pat Breen to instead ask about inpatient waiting lists for children at Our Lady of Lourdes Hospital in Drogheda, Co Louth. 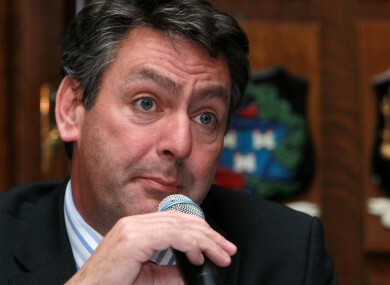 Louth’s local backbencher, Peter Fitzpatrick, has asked separate questions about adult inpatient and day care waiting lists and trolley numbers in the same hospital, and about waiting lists at the separate Louth County Hospital in Dundalk. “A TD can only submit a maximum of two oral questions which means that Fine Gael, with more than 50 backbenchers, is in a position to submit such a volume of questions as they have done today,” Kelleher claimed. Email “FF accuses James Reilly of 'rigging' question time in Dáil”. Feedback on “FF accuses James Reilly of 'rigging' question time in Dáil”.